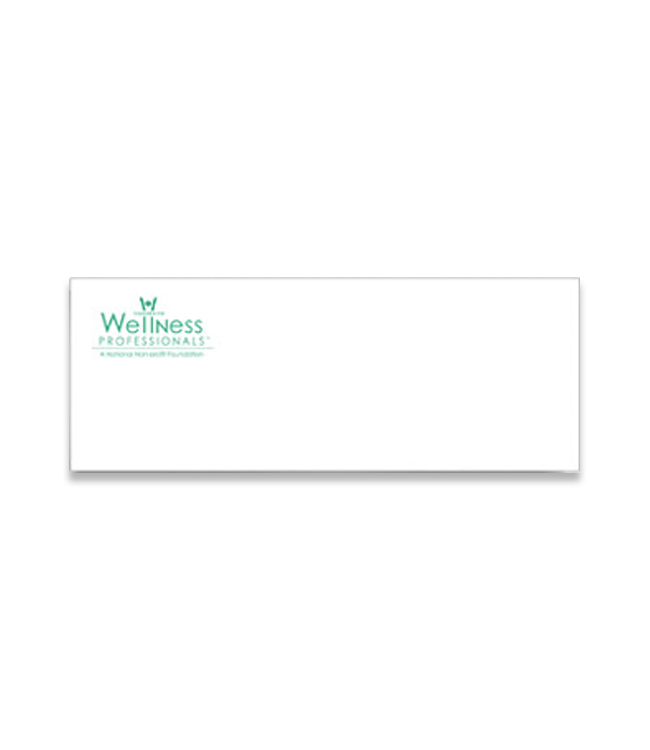 The Foundation for Wellness Professionals (FWP) envelopes are printed on classic white linen 24# stock. They are available in quantities of 100 and 500. NOTE: The FWP brochures are available to active DSE Clients Only. The Foundation for Wellness Professionals (FWP) is an association of healthcare professionals who volunteer their time to help prevent disease and improve the health of their communities. The FWP was originally founded in 1985 by Dr. David Singer, M.S., D.C., who is a published author and authority on preventative healthcare and has been educating healthcare professionals for over 25 years. This national, volunteer, not-for-profit foundation operates through independently-operated chapters across the United States and Canada. The Foundation for Wellness Professionals is incorporated as an official professional association with the State of Florida (N03000002637), and has 501(c)3 non-profit status. Our volunteers are healthcare professionals who devote their time as speakers on a variety of health topics from weight loss to handling digestive problems, hormonal imbalance, arthritis, fibromyalgia and numerous other health problems. Their purpose is to help prevent disease and to give their audiences practical, useful information that they can use to alleviate their problems. Volunteers also provide wellness screenings, blood pressure screenings, stress screenings and numerous other programs to assist their communities to maintain their health. FWP volunteers are in great demand to speak at corporations, women's associations, bookstores, health food stores, fitness centers, various charities, as well as at various education facilities including providing continuing education for teachers, daycare workers, working with SpEd PAC (Special Education Parent's Advisory Council) and more. All seminars and workshops emphasize preventative care as the key to good health. Workshops and seminars can vary in length from 45 minutes to an hour. Audience participation is strongly recommended when possible, and those who attend always leave with practical information they can put to use to improve their health. All FWP volunteers firmly adhere to the principal that the most significant way to reduce healthcare costs is to educate the public on ways to maintain their health and prevent disease.